When you are fed up with certain apps, you probably consider removing these apps from Android phones. And it is by no means the simple act of deleing Android apps within the device itself, since files deleted in that way can be easily recovered as long as you get a powerful recovery tool. So that's not a wise choice for those who want to permanently delete these apps. 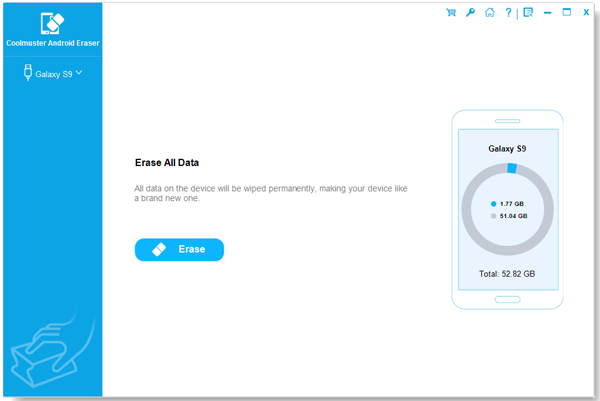 But you can fully rely on this professional Android Data Eraser software, which allows you to remove apps from Android within simple clicks, leaving no possibility of being recovered. Moreover, aside from apps, you can also use this software to delete other files like contacts, messages, videos, apps and many more from Android in one click. Best of all, this software is fully compatible with all devices running Android operating system, be it phone or tablet. Apart from all mentioned, you can even trust it to clean up junk files and speed up the device. First of all, open the installed software on the computer and then get your Android phone connected to the computer via the USB cord. 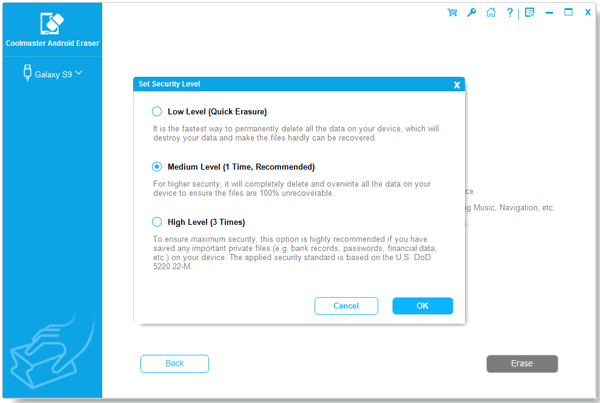 It will then detect your device and scan for all the saved files. Then you can see different file tabs are arranged on the main interface. You can then enter the Apps tab to preview more detailed file information. While previewing, select the wanted files by ticking them out. After that, hit the Erase option to remove apps from Android. Within a little while, all the apps will be permanently removed from Android as wanted and needed!